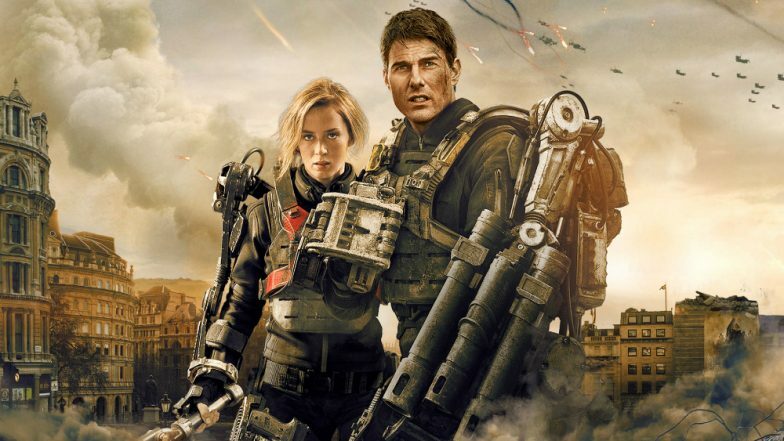 Los Angeles, March 2: Studio Warner Bros. is moving ahead with its follow-up to the Tom Cruise-Emily Blunt time-travel tale "Edge of Tomorrow" with Matthew Robinson writing the script. The 2014 original, directed by Doug Liman, grossed $370.5 million worldwide, including $100.2 million in the US. "Edge of Tomorrow," based on Hiroshi Sakurazaka's 2004 Japanese novel "All You Need Is Kill", takes place in a future where most of Europe is invaded by an alien race. Emily Blunt In The Prada Dress For Edge Of Tomorrow Premiere! Cruise portrays a military public relations officer with no combat experience who is forced by his superiors to join a landing operation against the aliens. Cruise's character finds himself in a time loop that sends him back to the previous day every time he dies. He teams up with Blunt's special forces soldier to improve his combat skills each day. Cruise and Blunt have not signed on for the sequel, but are expected to do so, reports variety.com. The film will be produced by Erwin Stoff, Tom Lassally, and Masi Oka, with Hisashi Sasaki executive producing. Liman will develop the untitled sequel with Robinson. Warner Bros. hired writers Joe Shrapnel and Anna Waterhouse to develop the project in 2016.